This is the first of a two-part series on improving communications. Next week, we’ll explore how radiologists can better connect with radiologic technologists. Communication. It’s been a big topic of conversation in the radiology industry, both at national meetings and inside individual practices. There’s a distinct need to improve the way radiologists and referring physicians talk to each other. The sticking point, however, has been how to do it. There’s no question, though, the specialty needs to implement effective strategies to make communication faster, easier, and more effective. 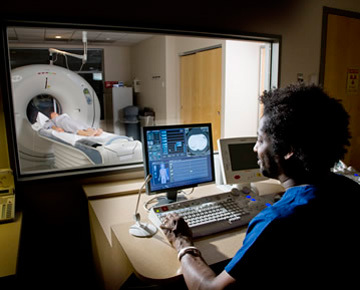 With more than 70 percent of referring physicians sending their patients to multiple facilities for imaging studies, according to one national study, it’s incumbent upon radiologists to make these working relationships as worry-free and attractive as possible, industry experts said. Not only does this fluid information transfer allow for immediate input from radiologists, potentially staving off any inappropriate or repeat testing, but it also ensures patients experience fewer — if any — delays in care. In addition, these processes help radiologists quickly share any critical findings, as well as play an active role in multi-disciplinary discussions, Björnemo said. While many industry leaders promote better communication as a way to raise your department’s profile within a health system or demonstrate the impact you make as radiologists, there are other reasons behind fine-tuning the way you connect with referring physicians. According to an October 2012 Sectra report, doctors have a great interest in being able to access your schedule and book appointments for their patients online. But only 7 percent of surveyed physicians indicate the radiologists to whom they refer have web scheduling as an option. Many physicians included in the report consider offering this capability is vital to completing time-sensitive scans. That doesn’t mean referring physicians want to eliminate all face-to-face or phone contact with you, Björnemo said. This is where the pendulum that has lurched toward teleradiology in recent years is beginning to swing back toward having in-house radiology staff. When reviewing results, physicians want — and appreciate — being able to ask questions and talk with you directly. To effectively improve communication, however, you will need the right tools. In today’s mobile world, you will likely get the most use out of zero-footprint viewers that require no software installation or extra equipment, Björnemo said. It’s also important to consider communication products that are vendor-neutral. For example, Carestream’s Vue Motion offers zero-footprint, vendor-neutral access to diagnostic images through any web browser or electronic health record. Without installing or downloading software, providers can use sticky-note communication, order information entry, side-by-side image display for comparisons, and synchronize images. This type of universal product is particularly efficient in transferring critical findings in a timely manner, Björnemo said. Clear communication can also be difficult because radiologists dictate reports in their own style and lexicon, and these differences can sometimes confuse referring physicians. And, communications products that standardize report narratives have eliminated this problem, said Aaron Brauser, Catalyst solutions manager at M*Modal. The M*Modal Catalyst for Radiology™ product uses the RadLex® Term Browser to create uniform reports. In addition to implementing a product that is compatible with almost any system and standardizing your reports, 60 percent of referring physician’s surveyed in Sectra’s report indicated 3D visualization would improve communication. Presenting findings this way would be one strategy for enhancing their ability to present and explain results to patients, they said. New products and technologies can be helpful tools in better communicating with your referring physicians, but making yourself readily available to these providers is also important, Björnemo said. Consider a PACS that includes an instant messaging function so you can talk with your referrers at a moment’s notice. Review the workflow in your office and use business analytics to determine if there are any bottlenecks that could impede your report turn-around time. And, perhaps most importantly, invite referring physicians in for face-to-face, multi-disciplinary team meetings. The journey to improved radiology-referring physician communication started in 2010 for Progressive Radiology in Baltimore. According to Dominic Mezzanotte, Progressive’s information technology director, the practice implemented InteleConnect™ Clinical Hub, a universal viewer from InteleRad that allows physicians to access patient images and exams on any device using any PACS or DICOM archive. The product was attractive, he said, because it didn’t require any additional software. Not only does the product keep a running list of a referring physician’s patients over the past 30 days, but it also allows providers to set up their own profile, tailoring how they want to receive radiology reports. In addition, referrers can dip into the system to check whether a patient has completed a diagnostic study or if there’s been a scheduling problem. Radiologists, meanwhile, can receive alerts when their report has been viewed by a referring physician. The University of Texas MD Anderson Cancer Center is also scheduled to release its communications software ViSion this year. The software, which works with any PACS or image workstation, works like Facebook, letting radiologists tag findings and making it easier for providers to read results and link new studies with older ones. In addition, Mobile MIM, an encrypted, password-protected diagnostic imaging app from MIM Software, allows radiologists to download and analyze images anywhere. Images are actually downloaded onto the device rather that streamed to it via a server. So far, Mezzanotte said, feedback has been positive. Referring physicians appreciate the mobility and ease of use. Because they don’t need additional software or a specific viewer, they have fewer problems and questions for their IT departments. Although the product has fine-tuned the working relationship and communication between Progressive’s radiologists and their referring physicians, he said, the ultimate benefit has been the improved level of service all involved providers can now offer.